Hoverboards have for some time gained a dangerous reputation. There have been numerous incidents reported of self-balancing scooters bursting into flames. Because of this, many concerned parents took steps to limit the danger to their children and anyone else that might choose to ride a hoverboard. It even led to a recall of more than 500,000 hoverboards. If you follow these eight simple steps, you'll only experience a hoverboard accidents on video while watching YouTube. The Underwriters Laboratories (UL) has recently introduced a protection standard it has dubbed UL 2272. The standard is supposed to address the dangers caused by hoverboards, and vendors have implemented adequate protections for riders. It is designed to support the manufacturers and retailers by evaluating and certifying hoverboards electric drive train systems, batteries, chargers, basically the entire electrical system. By taking the time to ensure the hoverboard that you're considering is UL certified, you'll have other things to worry about than your hoverboard catching on fire. Be sure to always check the UL mark on the packaging, the charger, and the actual hoverboard. Some retailers have been caught using fake UL markers. These counterfeit certified hoverboards are anything but safe. The official UL mark is a holographic label, with multiple colors and viewing angles. You want to avoid fake hoverboards because lower quality self-balancing scooters usually have batteries that are also lower quality. The primary cause of self-balancing scooter fires were faulty batteries that failed and experienced rapid discharge. Unless you take the time to open a hoverboards case, you'll never be positive that you've gotten a quality battery. If the vendor doesn't mention the brand, chances are it's inferior. Samsung and LG are both considered excellent batteries and have had very few failures. So how do you get the best hoverboard with a battery that's safe? You want to buy your hoverboard from reputable brands and marketplaces. While Fred the Fence may be able to get you a "sweet deal" for a hoverboard, he's trying to score big bucks off of you. Some of the most notable safe hoverboard brands are Swagtron, the Powerboard, Razor Hovertrax, StreetSaw, and Jetson to name but a few. If you make your purchase from giant online marketplaces such as Amazon or eBay, make sure that the product is sold directly by its maker and not a 3rd party seller. Follow the hoverboard manufacturer's recommended instructions. It may not seem all that earth shattering of a revelation, but the manufacturer's instructions are there to help you to use their product safely. For kids, this is especially important because they often lack the experience to know that they could become severely injured in an accident. One of the critical things to supervise with your children and hoverboards is recharging and storing the hoverboard. It's during the charge cycle that a majority of the battery malfunctions occur. Make sure to keep the hoverboard away from any flammable materials. Also when charging your hoverboard, do so immediately after using is and for only a few hours at a time. DO NOT leave it to charge for more than 4 hours. After a lithium-ion battery is fully charged, there is a slightly higher likelihood of an accident occurring. Always use the charger that you received when you bought your hoverboard. Other chargers may seem identical, but there's no guarantee, and they might just be different enough to cause an accident. Use the proper safety gear when riding a hoverboard. Have you seen the videos from last Christmas when hoverboards were the newest craze, and everybody was desperate to own one? Did you also see the hoverboard videos where people fell off of the not-so-self-balancing scooter and required a trip to the Emergency Room? There were hundreds of hoverboard accident videos on YouTube to watch and be glad that it wasn't happening to you. Granted most of the accident victims were products of their unpreparedness blended with beginner hoverboard-riding skills; you can lose your balance in a second. Save a trip to the ER, and use the proper personal protective gear for riding hoverboards. At a minimum, you should have a decent helmet, elbow pads, and kneepads. You may also want to consider wearing wrist guards and booty pads. Older riders should watch out since they are more likely to hurt their wrists trying to stop yourself from falling. At a minimum, you should have a decent helmet, elbow pads, and kneepads. You may also want to consider wearing wrist guards and booty pads. Older riders should watch out since they are more likely to injure themselves when attempting to stop a fall than children or teenagers. The last thing you want is to break a bone or injure yourself in some other manner. Don't know what the proper safety gear for a hoverboard is? Visit that link and you'll be taken to the safety gear page. Most hoverboards like long walks to watch the sunset, followed by ice cream and a good movie. Just seeing if you were awake. Like any piece of equipment, if you take care of it, it will take care of you, and hoverboards are no exception. 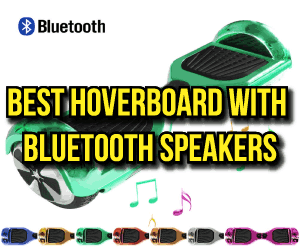 Hold on a second, actually; hoverboards are an exception. Remember earlier where I mentioned that the batteries were one of the biggest causes of hoverboard fires? There were several cases where superficial damage to the hoverboard's outer case caused fires. What wasn't apparent, was that the damage to the case had also damaged the battery. At some point, the damage caused the chemicals inside the battery to become exposed to oxygen, starting a fire. Remember earlier where I mentioned that the batteries were one of the biggest causes of hoverboard fires? There were several cases where what appeared to be superficial damage to the hoverboard's outer case, was actually much more substantial and was believed fo be the cause of several fires. At some point, the battery was damaged, causing chemicals inside the battery to become exposed to oxygen, starting a fire. In this video, a guy takes a knife and stabs it into the battery. While the battery he is using is a cell phone battery, it's the same type of battery as the one inside a hoverboard. Only a hoverboard has 18 cells in its battery. A single battery failing catches the remaining cells on fire. When that happens it almost sounds like firecrackers exploding, only the shooting flames are much more vigorous and have caught multiple homes on fire. Imagine a fire eighteen times bigger than the one in the video. We have become accustomed to charging our electronic devices overnight while we sleep. Why not? It works out awesome that way. We both get recharged. Don't do this with your hoverboard. Generally, most of these products usually require about 2 to 4 hours for their batteries to be fully charged. As it nears a full charge, the battery reduces the amount of energy it absorbs to a trickle. It stays at a nearly full charge until it's almost full when it suddenly begins absorbing lots of energy again. Reaching the critical threshold, the battery overcharges. It attempts to shed the excess energy it consumed and returned to its full state. Want to guess how it reduces its energy level? Did you say rapid discharge? Make sure your child understands the need to remove the hoverboard from the charger after a few hours. The CPSC also recommends that you recharge your hoverboard immediately after use. Doing so will make it more stable when it's not in use. Also, try to be aware of the hoverboard's surroundings when charging. You don't want to have it next to anything flammable. Calibrate your hoverboard every two or three uses. Calibration only takes a second, and it will make your hoverboard ride smoother and steadier. 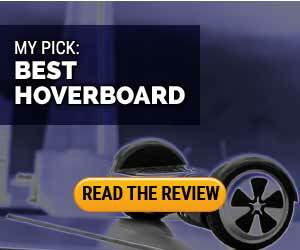 It should be the first step anytime your hoverboard is performing poorly. It can also help stop the hoverboard shaking uncontrollably, or where one side turns, but the other doesn't, or if the LEDs on your hoverboard blink all the time. All you need is a level surface and powering it on and off, and you'll be ready to go again in no time. Just follow this link if you'd like to learn more about calibration. If your child is under 50 lbs. hoverboards may not work properly for them. Most hoverboards are designed to work for riders between 50-220lbs. They may not weigh enough to control it properly. Get on and off your hoverboard in the proper way. It's a little counter-intuitive, but you want to step forward onto your hoverboard when mounting it. Place one foot in the middle of it and then assume as wide a stance as you can on the foot pads. You want your feet to be centered front-to-back with equal amounts of toe and heel hanging off. When it is time to get off your hoverboards, don't dismount by stepping forward. You'll shift your weight and instead of stepping off, you'll cause your hoverboard to propel itself forward, right underneath where you're trying to step. Instead, step off the hoverboard backwards, like you were stepping down from a ladder or stepstool. This will prevent any hoverboard accidents from happening. Have other questions about hoverboards? Be sure to visit the hoverboard FAQ page or the main Hoverboard Guides category to see all the latest guides, tips, and tricks. If you want to read the latest news in the world of hoverboards, visit the blog page. If you were to look back over this article, it seems like hoverboard accidents and injuries are just waiting to happen. That's not the case at all. Follow the steps I mentioned above, and both you and your child will be able to enjoy hoverboards accident-free for a long time. I know one of the next questions is probably "Which hoverboard is the safest for kids?" If you look right below here you'll find two big buttons. You can get one from Amazon by clicking on the orange button, or you can read the complete review by clicking on the green button. 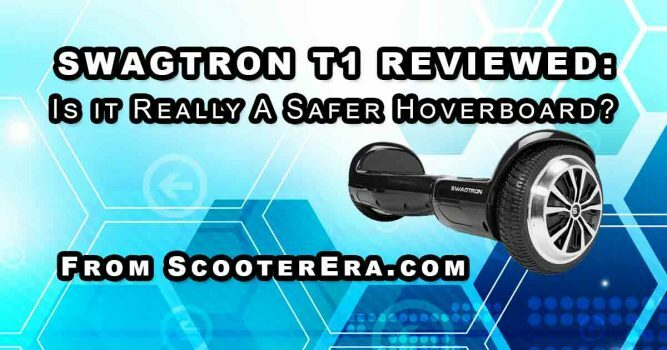 The Swagtron T1 is my usual recommendation for people when that ask what hoverboard they should get. It's extremely safe with several features designed to prevent accidents. Multi-mode operation makes it great for riders of any skill level. Be sure to buy the extended warranty and hoverboard from Amazon, you'll save over $60 (at the time of writing this) when compared to buying it from Swagtron, Best Buy, or other retailers. Bottom Line: The Swagtron is a quality hoverboard that's great for everyone, whether this is your first hoverboard or your tenth. The folks over at BoardEmporium.com hit me up while I was writing this article and shared their hoverboard safety infographic. They've allowed me to use it here to share with everyone. Thanks! While their site may not have tons of hoverboard focused content, it does have lots of longboarding content and guides. Be sure to go and check it out.